You won't be sorry when you start this great read about Revolutionary America and Thomas Jefferson's oldest daughter, Patsy. Miss Dray takes us right into the 18th century with researched descriptions of Monticello throughout the years and Virginia's favorite son's family life. The novel is long, but flows so smoothly while much history is disclosed. We hear through Patsy's voice how the writer of the Declaration of Independence inspired her and how close her bond was with her father throughout her life. She stood by him during his long career and was the substitute for the first lady during his presidency. Briefly touching on his relationship with the beautiful Sally Hemmings, this also brings out the sticky issue of slavery that has caused so much dissension in American history. 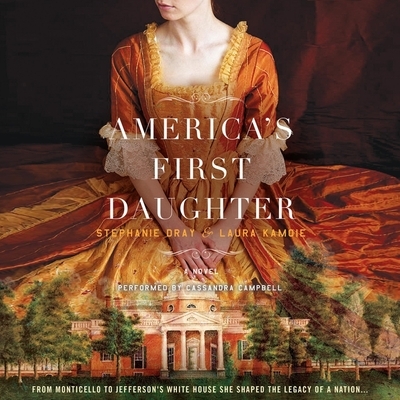 It is in Paris, at the glittering court and among the first tumultuous days of revolution, that fifteen-year-old Patsy learns about her father's troubling liaison with Sally Hemings, a slave girl her own age. Meanwhile, Patsy has fallen in love--with her father's prot g William Short, a staunch abolitionist and ambitious diplomat. Torn between love, principles, and the bonds of family, Patsy questions whether she can choose a life as William's wife and still be a devoted daughter.